PAYMENT STRUCTURE FOR 2019-2020 FALL REGISTRATION. Deposit - $75 per Student due upon enrollment (non-refundable). 1-3 Classes - Balance (less $75 deposit) paid in two installments - Sept 1st and Jan 1st (Non-refundable if students drop in between installments). Company - Balance (less $75 deposit) paid in 9 monthly installments on the first of each month (Sept-May). 5% sibling discounts (less $75 deposit) will be applied to tuition balances. This contract is read and signed by the student's parent or legal guardian, insuring that this agreement is understood and will be honored. Tuition payment must be received by Danceworks New York on the day of registration. *Costumes are non-refundable, no exchanges available. Parents responsible for any additional alterations. *Each class requires min of one costume for recital (except Tutu's). *Online ticket system (no lines). Additional fees will be paid using Cash or Check only, on dates listed above. Each class requires 1 costume for recital (except Tutu's). Any bank charges incurred for returned checks will be billed to the student's account. Any physical impairment or disability a student may have must be brought to the attention of Danceworks New York staff to ensure appropriate guidance is given. Danceworks New York is not responsible for classes missed by students, due to illness or other circumstance. Money will not be refunded or deducted from tuition payments for missed classes. Money will not be refunded after 30 days past installment. The tuition for one 1-hour class per week for the entire year of study is $725.00. The dance year begins in September and ends in June. Tuition for additional classes varies according to the number of classes enrolled. Tuition payments will not be adjusted for any reason. Tuition must be paid in full on the first day of the month according to the chosen payment plan. Students may make-up 5 classes within the school year prior to May. Call Danceworks New York in advance to confirm arrangements for a make-up class. If a student decides to stop attending lessons mid-year, tuition that has already been paid will not be refunded. Tuition must be paid through and including the month of the last attended class. Danceworks New York follows the Port Washington school holiday closing schedule & inclement weather closings. We are not required to make up classes for weather or any other town emergency closings. Make up classes will be made at the discretion of the studio director. Danceworks New York requires that all tuition payments and costume balances must be paid in full by May 1st in order for a child to participate in the recital. 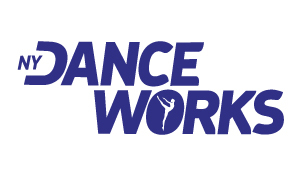 If no arrangements for payment are made with Danceworks New York to satisfy all over due balances prior to June 1, all outstanding balances will be referred to a collection agency. Danceworks encourages the sharing of photos, video and events across social media from students, parents and staff. Personal information will never be shared without prior written permission. Costumes for the recital will be ordered between Oct & Nov. A costume payment of $55 - $70 per costume is due on Oct 1st. No costumes will be ordered without payment. Danceworks New York is unable to return or cancel costume orders under any condition. Costumes are NOT custom fit. Dancers are responsible for any additional alterations. Tutu's students will not perform in the recital so therefore do not require a costume. As a participant in this program(s), I recognize and acknowledge that there are certain risks of physical injury and I agree to assume the full risk of any injuries, damages, loss, cost and expenses which I may sustain as a result of participating in any and all activities with or associated with Danceworks New York. I agree to hold harmless Danceworks New York against any and all injuries, cost, losses, damages, and expenses (including attorney's fees) which I might suffer from participation in any class, production, rehearsal, recital, or event of whatever kind or character and without limitation. By signing this agreement I understand and I am waiving any claims, liens, demands, or causes of action which I may now, or in the future posses against Danceworks New York arising out or in any way related to my participation in any class, production, rehearsal, recital, or event.